Hampton, Virginia is one of the oldest cities in the USA, with its origins going back nearly four hundred years to when Virginia was a British Colony. 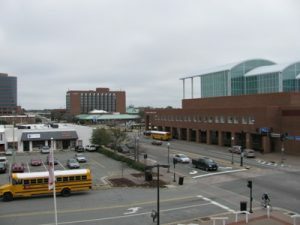 The city is located along the Chesapeake Bay, near Norfolk, and Newport News. Hampton is home to Fort Monroe, Langley Air Force Base, NASA Langley Research Center, and the Virginia Air and Space Center. The city also contains residential areas, historical sites, business and industrial complexes, and waterfronts. The Hampton Visitor Center is a good place to begin a tour of the city. Located with the Hampton History Museum, the visitor center has brochures, tips, gifts, and advice for visitors. After a stop at the visitor center, trips can be made to the Hampton University Museum, Virginia Air and Space Center, or other nearby attractions. Hampton has excellent shopping facilities including a wide range of chain stores, specialty shops, outlets, restaurants, farmers markets, and other businesses. Among the newer shopping facilities is Peninsula Town Center. A variety of marinas provide permanent and transient slips, boat repairs, fishing charters, harbor cruises, boat tours, sailing adventures, and other options. Hampton is famous for its world class coliseum. The coliseum and nearby convention center provide an excellent environment for concerts, trade shows, expos, conventions, and festivals. Among the most famous events is the Hampton Jazz Festival. The event is held each year during the last full weekend in June. The festival showcases jazz, R&B, and blues artists and is always well attended by both residents and visitors. 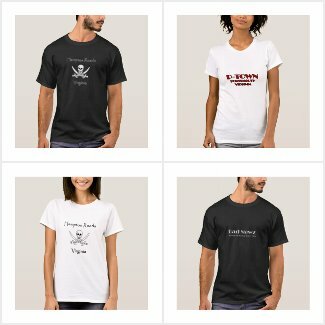 Another annual event is the Blackbeard Festival. Held each spring, the festival includes a re-enactment of the epic battle to capture Blackbeard. Just minutes from Downtown Hampton, the community of Buckroe Beach is home to a public beach, marina, fishing pier, watercraft rentals, accommodations, waterfront restaurants, and other attractions.